The new five-seat SUV, which will bring the fight to models such as the Nissan Qashqai and Seat Ateca, is based on PSA’s EMP2 platform used across group SUV models from the Vauxhall Grandland X to the Peugeot 3008/5008, and features three individual, sliding, folding and reclining rear seats, and claimed best-in-class boot volume ranging from 580-litres to 720-litres, and up to 1,630-litres with the second-row seats folded down. 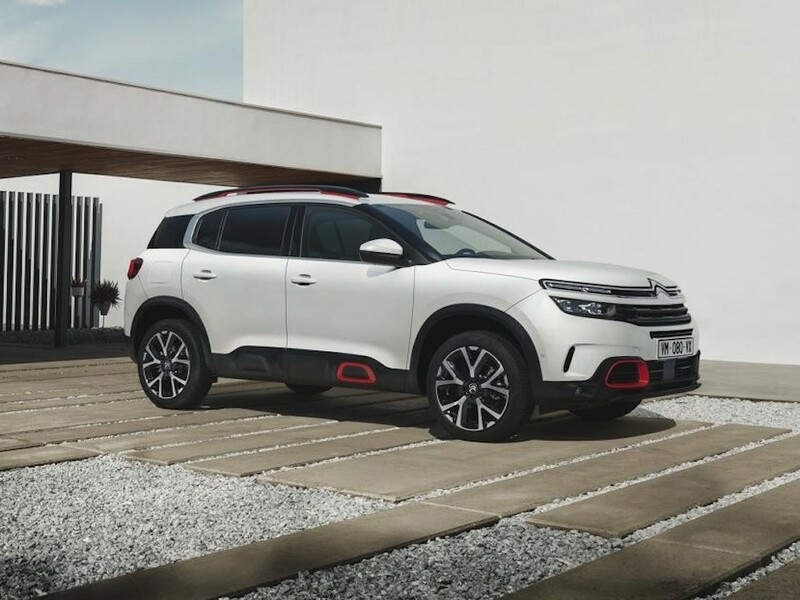 The C5 Aircross will be offered in three trim levels – Feel, Flair and Flair Plus. Standard features include a 12.3-inch digital instrument cluster and eight-inch HD touchscreen along with the brand’s new suspension system with Progressive Hydraulic Cushions while Flair and Flair Plus get Advanced Comfort seats, Citroën Connect Nav with TomTom Live updates and ConnectedCAM Citroën. A total of 20 safety and driver assistance technologies also come as standard, including Advanced Active Safety Brake, Active Lane Departure Warning and Active Blind Spot Monitoring. A range of PureTech petrol and BlueHDi diesel engines will be offered from launch while the C5 Aircross will become the first Citroën available with plug-in hybrid (PHEV) technology in early 2020, with a range of 37 miles (60km) in zero-emission mode. Petrol versions will comprise the PureTech 130 S&S six-speed manual and PureTech 180 S&S EAT8 eight-speed automatic, while the diesels cover the BlueHDi 130 S&S six-speed manual and EAT8 variants and the BlueHDi 180 S&S EAT8. Emissions start from 106g/km for the BlueHDi 130 S&S EAT8. Order books open on Monday 3 December and first UK deliveries start Monday 4 February.